In fact, the reason I actually started paying attention to Jeffree Star, and I'm sure there are many, many others out there in the same boat, is because of the whole Lime Crime DRAMZ that's boiled over during the past few years. I won't go into all of that here (Google it if you haven't already heard about it), but what I will say is that initially at least, the speculation and rumour did put me off Lime Crime a little. 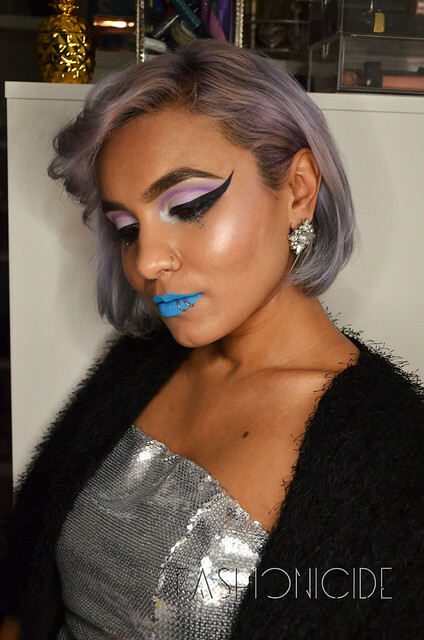 Anyway, at the time, half of the Beauty Interweb had a Lime Crime-shaped hole in their lipstick lives and needed to seek out an alternative brand with unique colours combined with an amazing formula. 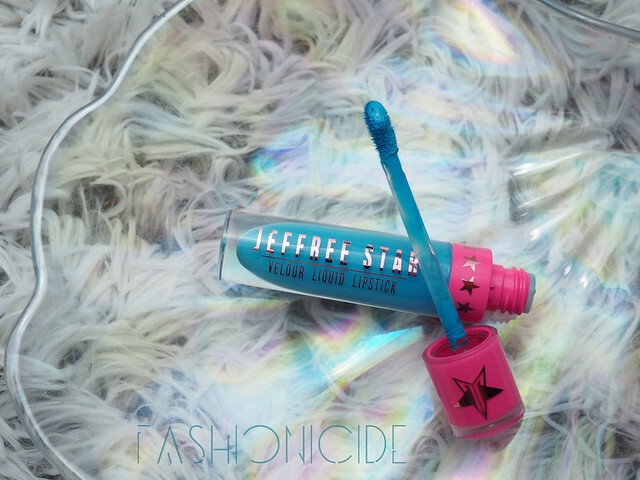 It seemed that Jeffree Star was their shining beacon of hope with rave reviews cropping up left, right and centre and generating a lot of hype and buzz. To paraphrase Mark Twain, I often find myself questioning the view held by the majority, so I didn't turn myself into a Jeffree Star fangirl overnight, I just watched from a distance, happy to stick with what I had and dip into a few lesser known brands with weird and wonderful colours. 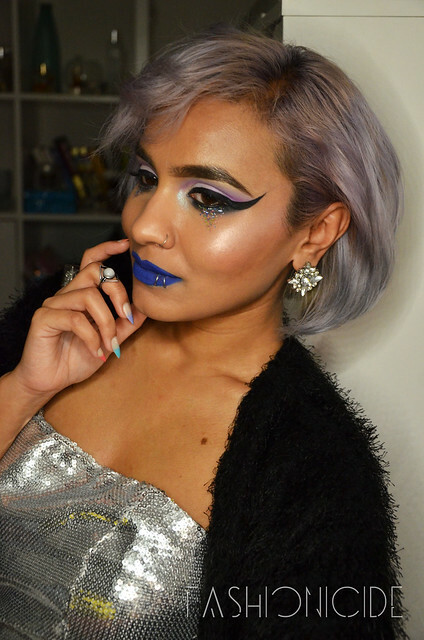 Eventually though, my time arrived, and I purchased the Jawbreaker and Blue Velvet liquid lipsticks. I went for these two as I actually don't own any blue Liquid Lipsticks, and the colours looked so vibrant and opaque in the various photos scattered across Instagram. Why not, eh? When they arrived I was genuinely excited at the colour peeping back at me through the clear plastic tubes, they're so rich, luxurious and vibrant. The swatches on the wrist certainly show just how opaque it really is - that's just one swipe. No going back over it, just one swipe. 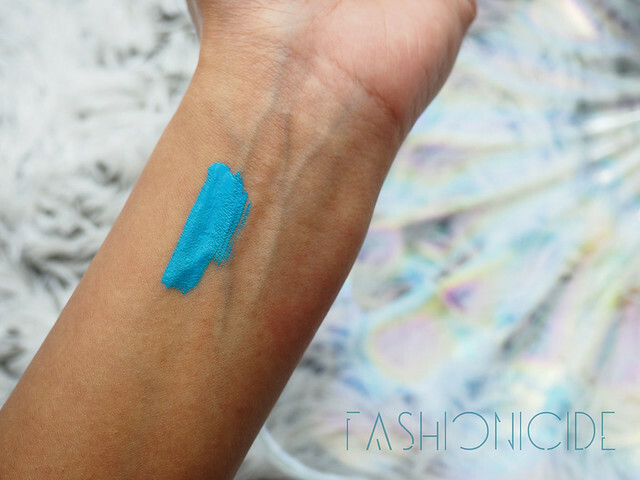 It's pretty impressive to say the least, however, as I mentioned in a recent #bbloggers chat, wrist swatches alone are next to useless. 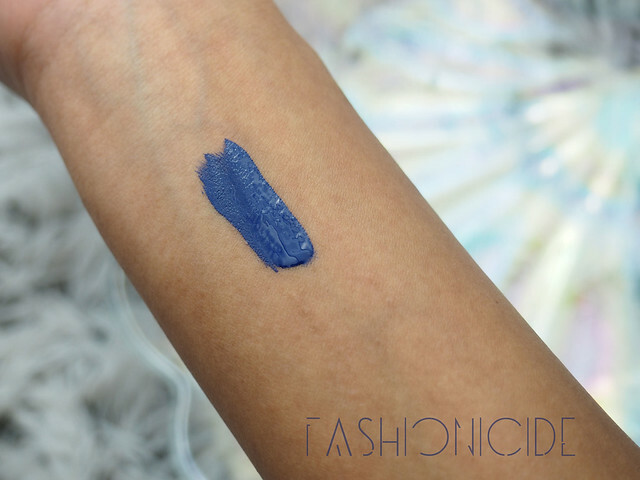 The skin on your arm is a little different to the lips in both texture and colour so #OnYourMugLove! On the lips, the doe-foot applicator is shaped in a way that's so easy to apply around the curvature of the lips, it goes on like a dream. 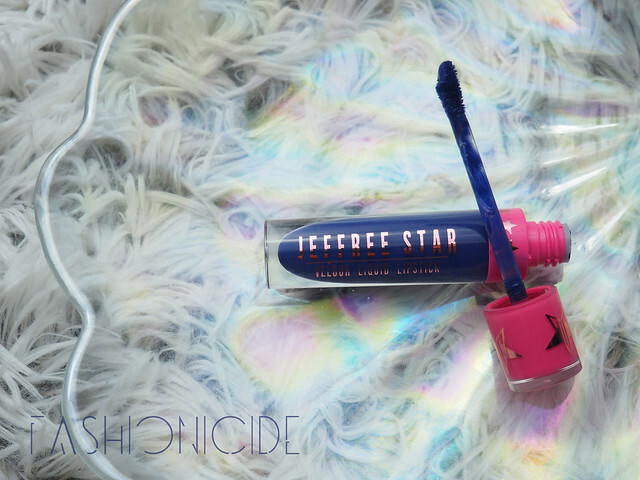 The formula of the liquid lipstick is quite wet, yet dries to a comfortable, matte finish within a minute or so. Most importantly, the colour retains the vibrance and richness as promised by the tube. First impressions then, are that this is an excellent liquid lipstick. Great colours, applies like a dream and stands out from the crowd. Blue Velvet is a much deeper, darker blue. Arguably the biggest test for any lipstick is in the longevity. Usually I road test my lipsticks at work, however non-conformity is generally frowned upon, so I gave it try at the weekend. Still, I put it through it's paces by going to Gourmet Burger Kitchen! I was pleasantly surprised by just how durable this lipstick actually was, unnaturally pigmented lipsticks tend to fade away much, much quicker than your reds, pinks, nudes etc as they fade into your natural lip colour but this one seemed to last pretty well. Why wasn't I born with blue lips?! Of course, I ended up eating a burger with a blue bun, but it could have been a whole lot worse. Oh, and by the way, does anyone else end up with a tiny little line of lipstick on the chin after eating, or is just me? It's true what you said no matter what people say about Lime Crime their velvetines are dope. Behind the scenes madness might put people off but why dog something you onced loved? I noticed Love Makeup have been stocking them again. I am one of those 'been there in the beginning' people, I'm surprised he got so big so fast! I used to follow him in the old myspace days. I think he pitched these just right, the colour payoff is amazing. I'll defiantly be investing in more! 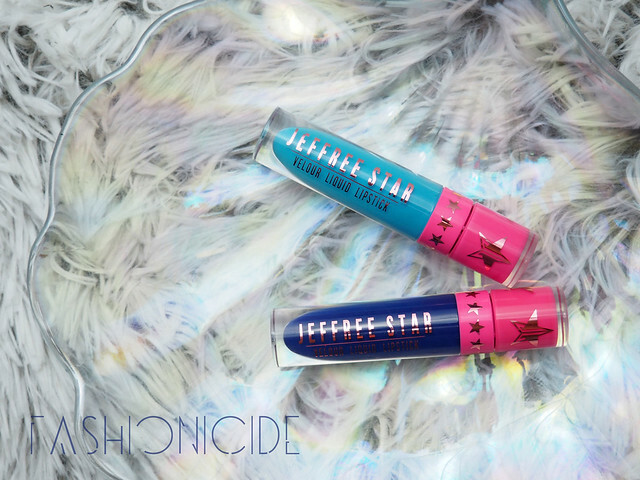 I have been wanting to try jeffree star lipsticks for ages now! I really really want to try a liquid lipstick especially since everyone is hyping over them! These look fab! Not my usual colours but i'll defiantly explore the range! I've heard that jeffree star is pretty great. glad to see you like it too.